In a series of articles in the Canadian Jewish News about four decades ago, the late CJN columnist J. B. Salsberg reminisced with great affection about the “Apter Shteeble” in downtown Toronto that he had frequented in his youth during the First World War. The Apter Society — one of dozens of Jewish landsmanschaft organizations, mutual benefit associations and fraternal orders that would spring up in Toronto — had established itself in a modest old frame cottage on Centre Avenue decorated with some hand-me-down tables and chairs, a pot-bellied stove, and a wooden cupboard that served as the ark for the Torah. 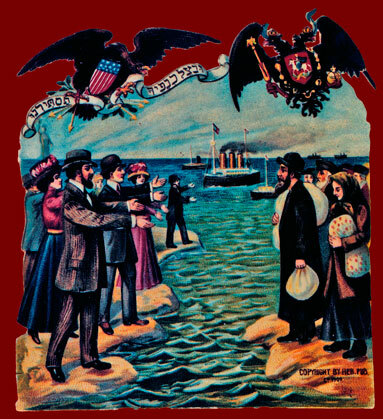 Besides fellowship, the landsmanschaft and mutual benefit societies typically helped newly-arrived immigrants with immediate needs such as food, shelter and employment. They also met longer-term needs by providing interest-free loans, medical coverage, synagogue affiliation, assistance for widows and orphans, and cemetery privileges. Today, one of the best places to learn about these organizations is the Ontario Jewish Archives Blankenstein Family Heritage Centre, where a multitude of minute books, records and jubilee souvenir booklets recall their storied pasts. Commonly in these books, the ancestral shtetlach are recalled with an overlay of nostalgic sweetness despite the hunger, poverty, persecutions and other bitter happenings often associated with these places. 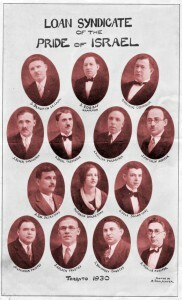 Established with similar aims, the Beizetchiner, Chmielnicker, Driltzer, Ivansker, Kieltzer, Lagover, Linitzer, Lodzer, Mozirer, Ostrovtzer, Ovruch-Voliner, Ozerover, Radomer, Stopnitzer, Warszawer and Zagliember societies were among those that typically focused on helping their landsleit (fellow townsfolk) from a specific town or district. Geographically speaking, some organizations took a much wider mandate. The First Roumanian Hebrew Congregation Adath Israel, for example, assisted all immigrants from Romania, while the highly popular Pride of Israel Sick Benefit Society served everyone in the community, no matter where they originated. An abundance of souvenir booklets and other materials representing Kielce, Radom, Lagov, Ostrowiec, Opatow (Apt), Driltz (Ilza), Staszow and other central Polish shtetlach attest to a remarkable phenomenon: from the early 1900s onwards, Jews from the Kielce-Radom region and vicinity poured into Toronto in astonishing numbers. By comparison, it’s been observed that a much higher preponderance of Russian and Romanian Jews immigrated to Montreal. Not even the late great Canadian Jewish Congress demographer Louis Rosenberg could explain this phenomenon in his informative study, “Jewish Mutual Benefit & Friendly Societies in Toronto: The First Fifty Years (1896-1945),” also available at the OJA. 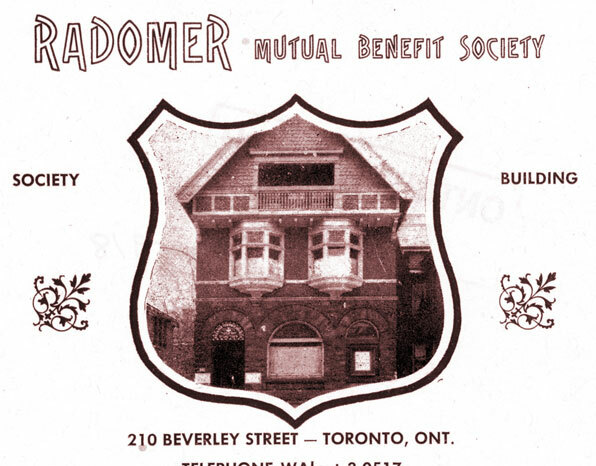 Over the last half-century, most of Toronto’s landsmanschaft and mutual benefit societies have been gradually winding down or have already folded. Having outlived their original purpose, most of them can see the writing on the wall. ◊ This article was part of a series about Toronto’s Jewish institutions, funded by the J. B. & Dora Salsberg Fund at the Jewish Foundation of Greater Toronto in partnership with the Ontario Jewish Archives, Blankenstein Family Heritage Centre.